L-R: Frank B. Lewis, Dan Siraco from TD Bank, Ann DeMichael Assistant to County Executive Ed Mangano, Town of Hempstead Councilman Bruce Blakeman, Cedarhurst Trustee Air Brown, Cedarhurst Mayor Benjamin Weinstock, Cedarhurst Deputy Mayor Ronald Lanzilotta, Missy Miller Republican Candidate NYS Assembly 20th District representing Town of Hempstead Supervisor Anthony Santino, Lenore Davis Stern from Thefivetowns.com, Chris McGrath representing NYS Senator 2nd District John J. Flanagan, Trustee Israel Wasser,Representing Lawrence-Cedarhurst American Legion Post #339 Commander Syd Mandelbaum, Adjutant Al Landi, Pat Alisea and members. 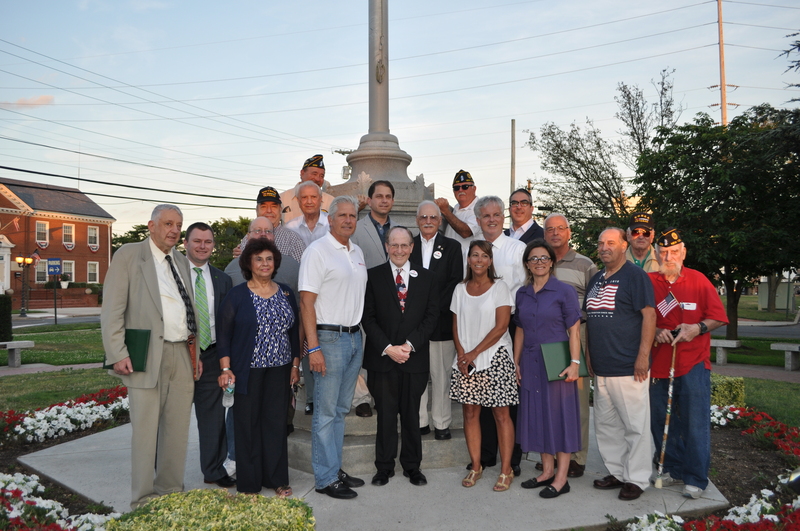 “Tonight begins a summer-long celebration – a 20-year tradition in Cedarhurst.” Announced Mayor Benjamin Weinstock, as he initiated the 2016 “Tuesday Night Concert Under the Gazebo”. This year’s summer concert series promises entertainment for people of all ages. The first concert was kicked off with a pre-show from Lawrence High School Percussion Ensemble. The 20-piece authentic swing band known as Swingtime Big Band then took the stage. Toes were tapping and fingers were snapping as they performed old swing favorites and classics from the Great American Songbook. Children hearing the tunes for the first time twirled alongside dancers revisiting their youth in the pavilion. On July 12th the village brings Ireland to the park featuring – The Lavin’s & Company. We also invite your family to come and enjoy our playground and water park. You will be happy you did! The concert schedule can be found by clicking here or at the Cedarhurst Village Hall on Cedarhurst Avenue.